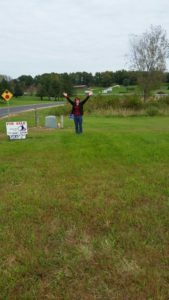 Future Spay/Neuter Clinic | Alter-Ations Inc.
UPDATE January 2019 – our FIRST veterinarian Dr. Janna opened her own full service veterinary clinic (Ridge to Rivers Animal Clinic in Viroqua) late last year AND offered space in her clinic for CATsNIP Clinic. We moved to the back entrance space in March. UPDATE – due to “life” stuff, our planned construction has been delayed. If you are interested in being part of the fundraising efforts, planning or building process, please contact us by phone or email. 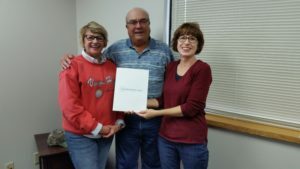 Thanks to a generous donation from landowners Geoffrey and Vicki Banta, and Jeff Banta, Alter-Ations is now the proud owner of just over 1 acre of land. We want to build a permanent spay/neuter clinic here someday. Our CATsNIP staff and volunteers have been working hard on a floor plan for the Clinic, researching new equipment that will be needed, and planning a Capital Campaign. For the last 8 years, the CATsNIP Clinic has operated from donated space near Viroqua; the sooner we can start building, the sooner we will be able to offer more surgery days – and expand our program to include on-site dog spay/neuter services. The new, expanded Alter-Ations Inc. Spay/Neuter Clinic will change the lives of many more people and pets in the Coulee Region! YOUR DONATIONS WILL HELP US BUILD A NEW CLINIC! Your gift is extremely important! Whatever amount you choose to donate will help us buy construction materials, help pay for building contractors, and buy more cages and supplies needed for surgeries.